The Journal of Medical Toxicology March 2016 issue includes research abstracts from the 2016 Annual Scientific Meeting as well as Proceedings from the ACMT Addiction Medicine Academy. The Journal has been on the forefront of publishing important research and commentary on the prescription drug epidemic, including the details about specific drugs, the epidemiology of addiction, and the forensic aspects of overdose. 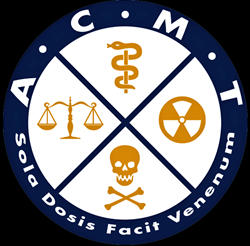 The March 2016 issue (Vol.12, Issue 1) of the Journal of Medical Toxicology(JMT), the official journal of the American College of Medical Toxicology (ACMT), highlights new research to be presented at the 2016 ACMT Annual Scientific Meeting in Huntington Beach, California from March 18-20. Included are the complete abstracts from over 100 cutting-edge research studies that will inform the future work of other researchers, practicing clinicians, and policymakers on issues ranging from innovative antidotal treatments for poisoning to new insights on the treatment of snakebites. These abstracts offer an early preview of practice-changing manuscripts to be published in JMT and other leading scientific journals. The March issue also includes the complete Proceedings from ACMT’s Addiction Medicine Academy, which featured forward-thinking lectures from nationally and internationally recognized addiction researchers and clinicians. The Academy symposium, and the proceedings, focused on the current and developing treatment options for patients suffering from alcohol and opioid abuse and addiction. Special Issue Editor Kavita Babu MD and Academy organizer Timothy Weigand MD comment in this issue’s introduction: “Addiction and substance use disorders are the defining public health problems of the past decade. Abuse of tobacco, alcohol, and drugs costs the USA more than $700 billion annually related to crime, lost productivity, and in health care costs.” They discuss the continued shortage of practitioners with experience in the treatment of addiction disorders and the intuitive collaboration between specialists in medical toxicology and addiction medicine. The Proceedings in the March issue enhance the knowledge and skills of healthcare providers and policy-makers in order to address this growing national problem. The Journal has been on the forefront of publishing important research and commentary on the prescription drug epidemic, including the details about specific drugs, the epidemiology of addiction, and the forensic aspects of overdose.